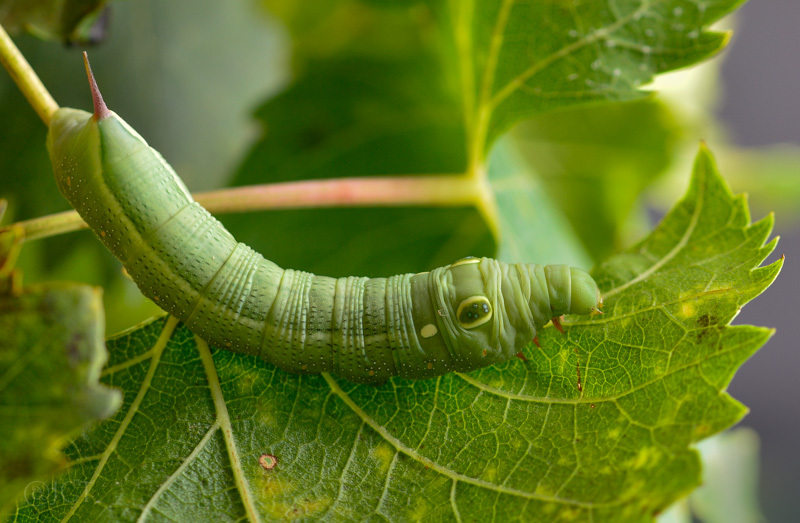 This is a large caterpillar that feeds on vine leaves. I found it on the vine in my backyard the day I picked the last grapes. I was surprised how big it is, I followed it until it became a butterfly. Very nice photo of this big caterpillar in excellent sharpness. Beautiful camouflaged colours. Nice choice of composition. It is green, it is life and these days I watch its cartoon. Much interesting subject and this will appear after spring. Well exposed and composed, nice shot. Very nice details and focus. Excellent colors and very good details. Interesante y peculiar oruga, que engaña fácilmente con esos "ojos".